Hart joined City from Shrewsbury Town in 2006 and won two Premier League titles, two League Cups and an FA Cup, before departing in a permanent deal for Burnley in August this year. The 75-cap England keeper had fallen down the pecking order under Pep Guardiola and spent the past two campaigns on loan at Torino and West Ham. 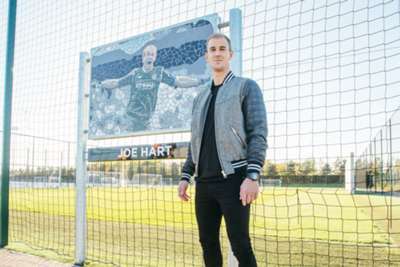 City announced that the pitch will be situated in the club's 80-acre City Football Academy, with Hart unveiling a mosaic depicting his celebrations from the club's 2011-12 title success designed by Manchester artist Mark Kennedy. "Having the goalkeeping pitch at the City Football Academy dedicated to me is a huge honour," Hart said via a City news release. "Manchester City has been a huge part of my life and my career, and I'm immensely proud of what I and my team-mates achieved in that period. "There have been some incredible goalkeeping legends throughout Manchester City's history, and I feel privileged that the club has chosen to recognise me amongst that number." City's announcement was made to coincide with Hart's return to the Etihad Stadium on Saturday when Burnley make the trip to Manchester. Hart may have failed to convince Guardiola he is capable of playing his preferred style of football, but the City boss spoke highly of his achievements at the club during a news conference on Friday. "I think there is no doubt how important he was and is," he said. "Tomorrow you will see how people appreciate what he has done for this club." Hart will be presented with his own replica of the mosaic and a lifetime season card by club chairman Khaldoon Al Mubarak following Saturday's game. "It is truly fitting to mark Joe Hart's outstanding contribution to Manchester City in such a visible way," said Al Mubarak. 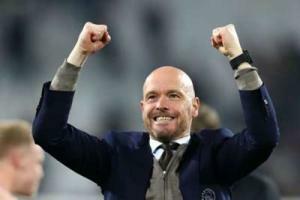 "During his 12 years with the club, Joe not only produced some incredible individual displays, but also celebrated great success as a member of the club's most decorated team in decades.